Sweet little Jennie likes to be held. She is loving, loyal and tries to stay with you. 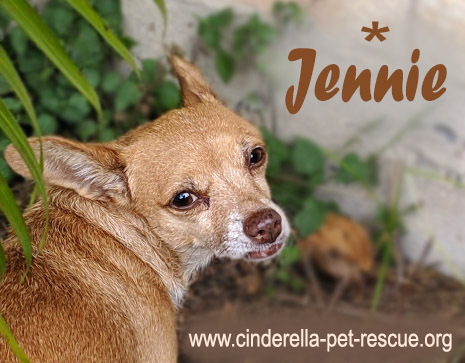 A great cuddler, Jennie will be the best companion for some lucky person. Good on a leash, she likes to go for long walks and rides great in the car. Jennie gets along well with other dogs and is also great around cats. Jennie is a mature little lady, born in 2010, and weighs about 11 pounds. If you want a precious, affectionate and faithful companion, Jennie is the girl for you!